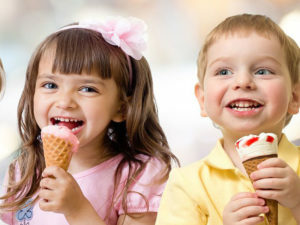 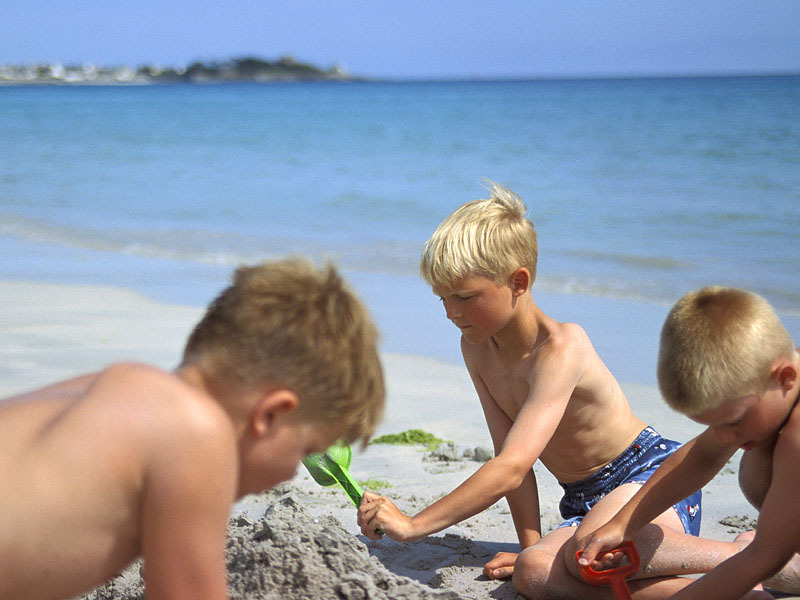 Between the beach and our play area, your children will have fun and create unforgettable memories with their new friends. 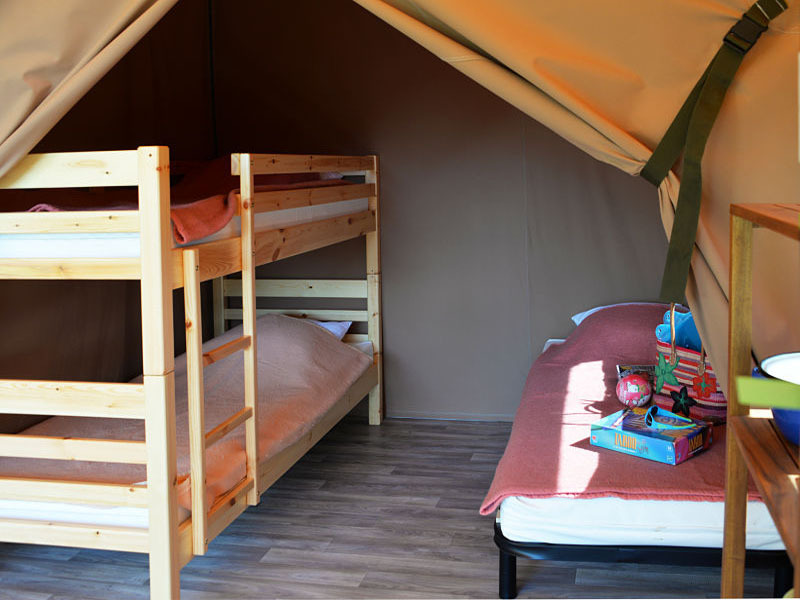 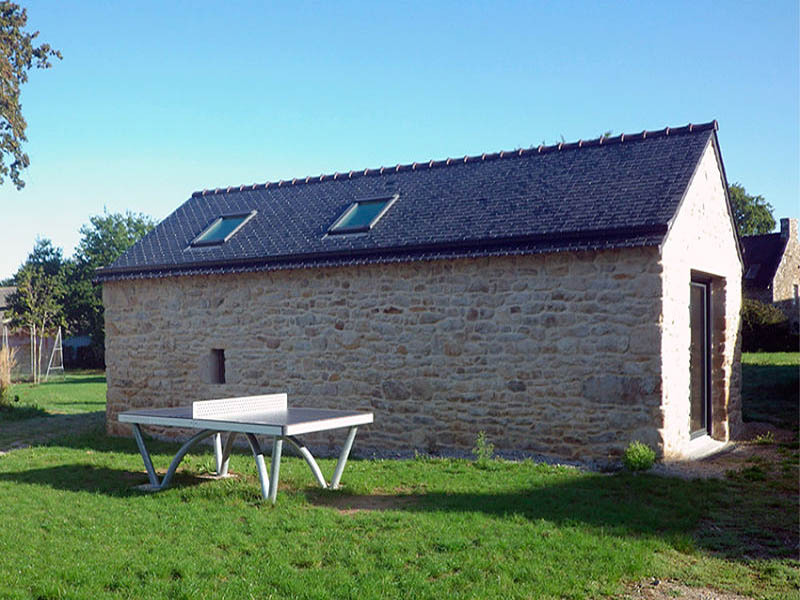 At the campsite Ker Eden, we know how important your family holidays are ! 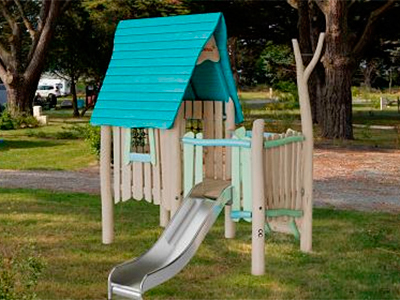 Your children will discover the new play area: the wooden play shed, the small climbing slope and the slide offer hours of play with their new friends. 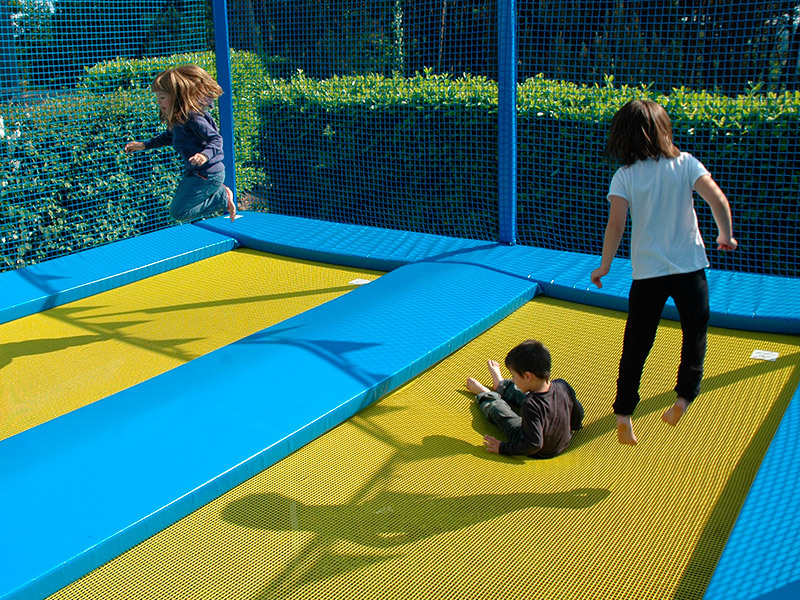 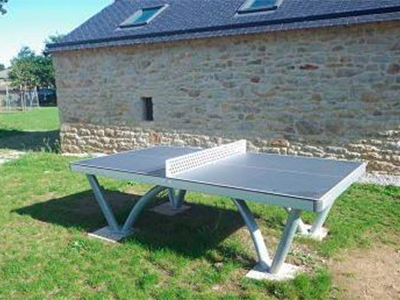 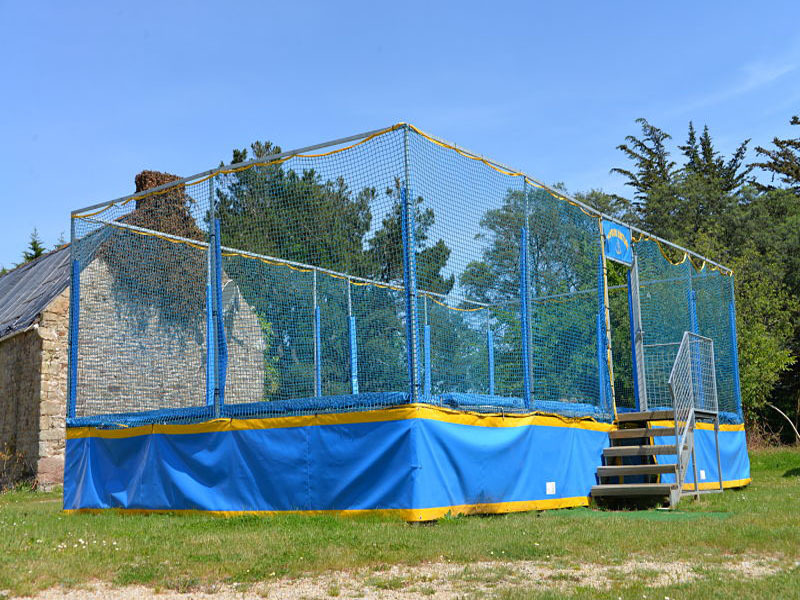 The older ones have fun on big trampolines or challenge themselves to ping pong. 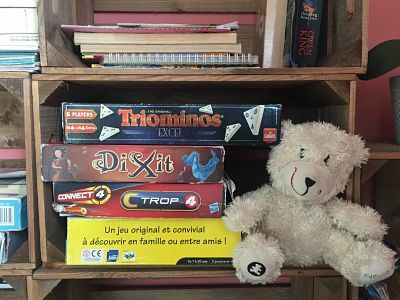 Do not hesitate to borrow the board games available at the reception to liven up your evenings with your family! 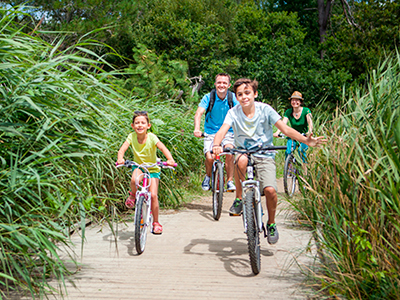 For your family getaways, we rent bicycles for adults and children. 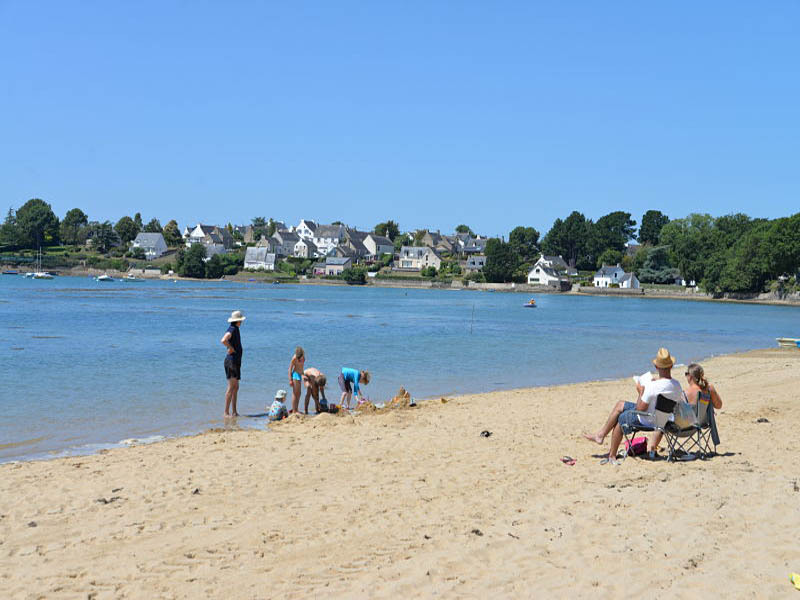 The beach in front of the campsite is guaranteed pleasure! 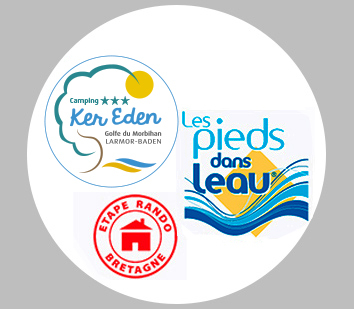 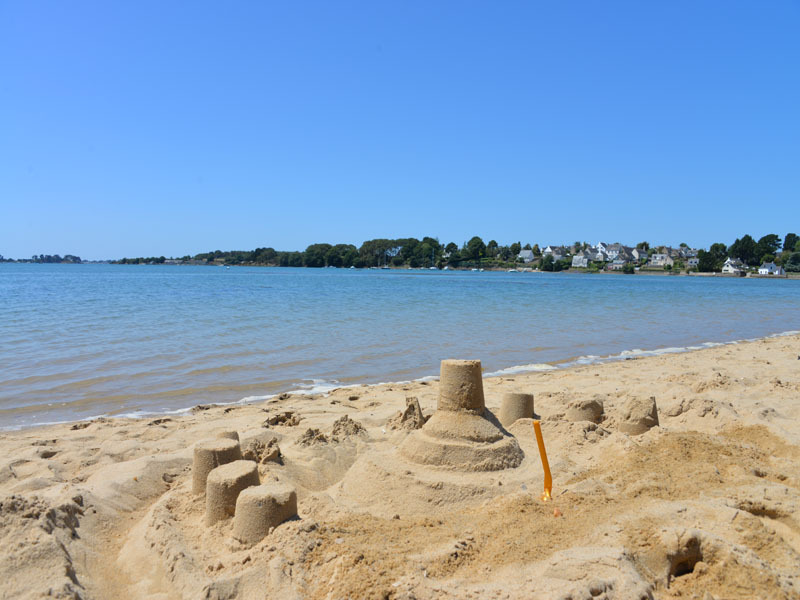 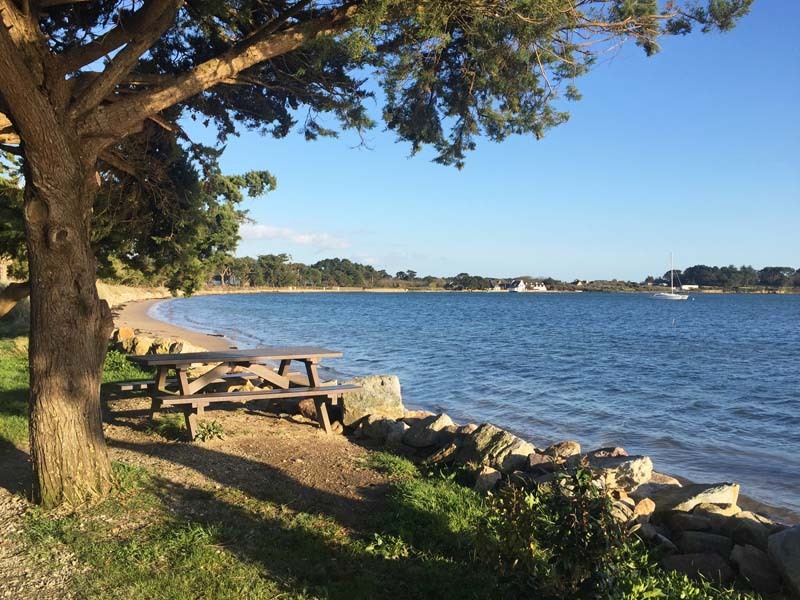 The perfect location of Ker Eden campsite offers the chance to enjoy the pleasures of the beach to the whole family !